The Air Force Museum of New Zealand is the national museum for the Royal New Zealand Air Force (RNZAF) and one of New Zealand's premier attractions. 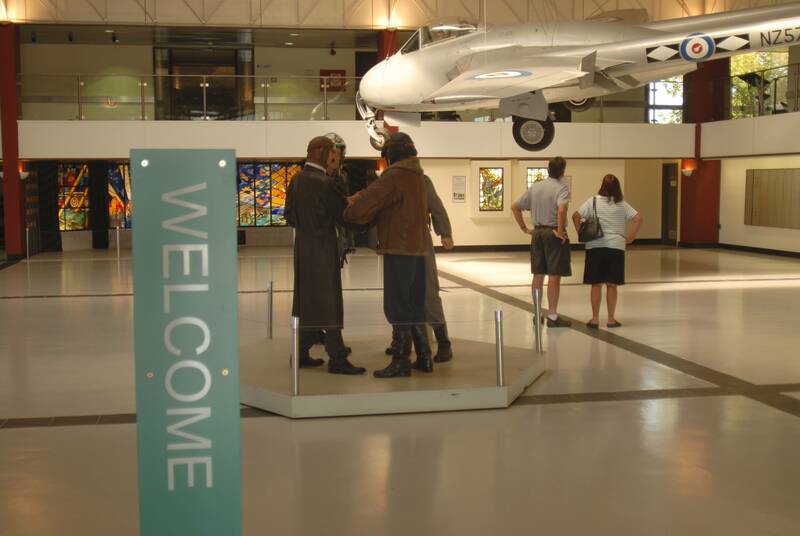 Located in Christchurch on the site of the former Air Force Base at Wigram, the Museum offers a unique and memorable visitor experience. With over 30 historic aircraft, hands-on exhibitions and programmes, 'Behind the Scenes' tours and even a flight simulator, all with FREE entry, it is the ideal place to bring the whole family for a great day out. The Museum is governed by a Board of Trustees and is supported by the Royal New Zealand Air Force. Registered with the Charities Commission - CC20363.